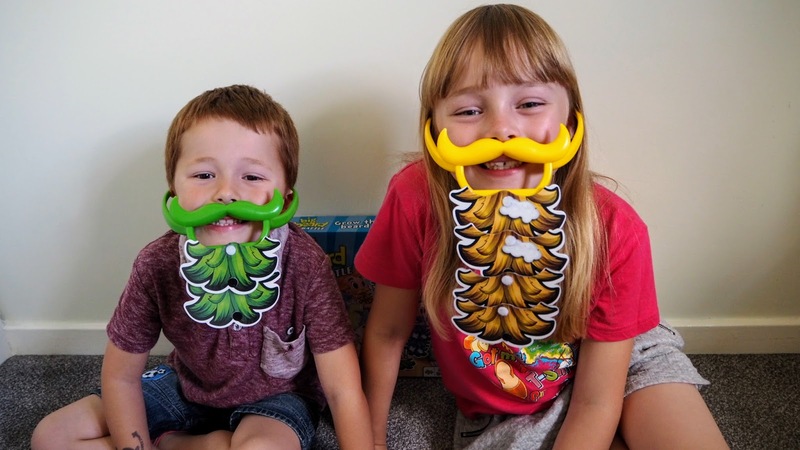 I was recently asked to review family board game Big Beard Battle. 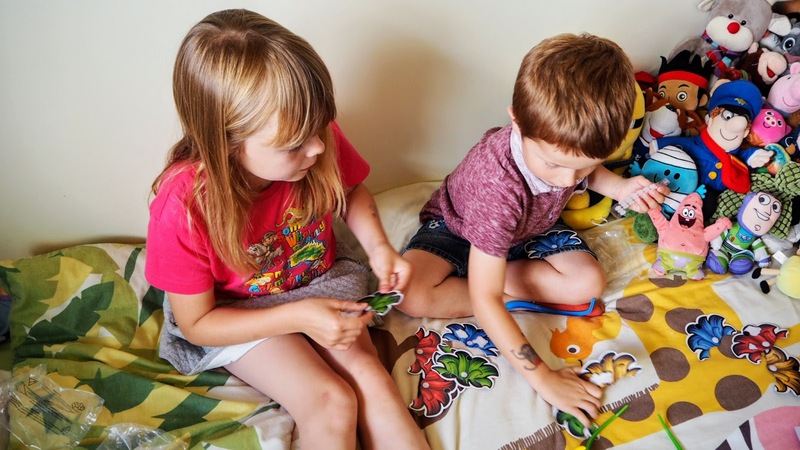 As Annie and Freddie have recently started a YouTube channel I am keen to accept toys for review so that we can blog and vlog our experience. 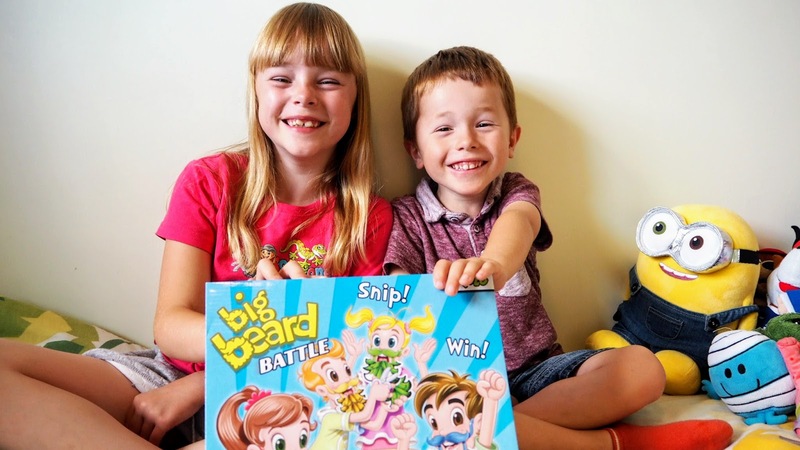 Beard Battle is aimed children aged four and over. 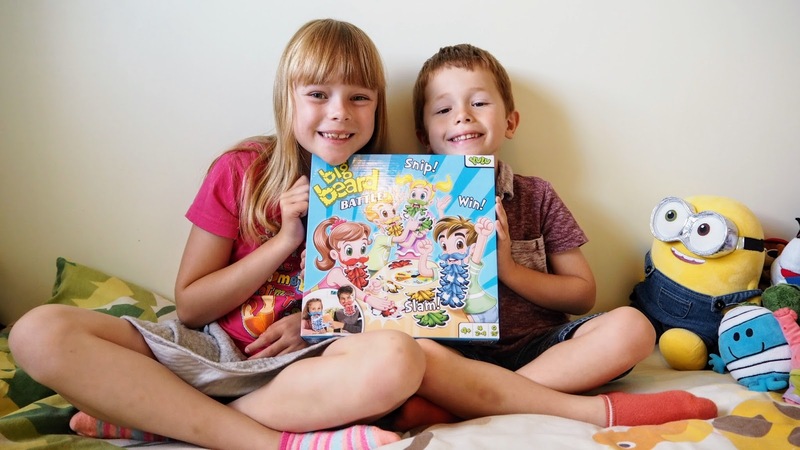 You can play with two, three or four players. 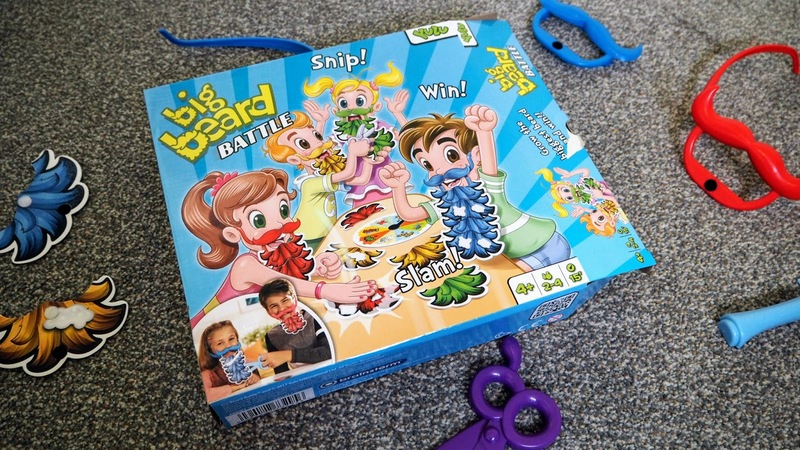 As the packaging suggests this is a fun game that is aimed at all the family. Annie and Freddie quickly got unboxing the pieces and assembling them. You simply need to attach the arms on to the beard holder so they sit over your ears, rather like a pair of glasses would. Then you must add Velcro dots to each beard piece so that when the time comes you are ready to assemble your beard and you would only have to take this step the first time you play of course. Annie and Freddie enjoyed this part anyway! The game involves some luck, some skill and some strategy. I think it is great to find all three in a game like this. The luck comes in the form of a spinner that you spin when it’s your turn. The skill comes in the form of a memory game and from speed. 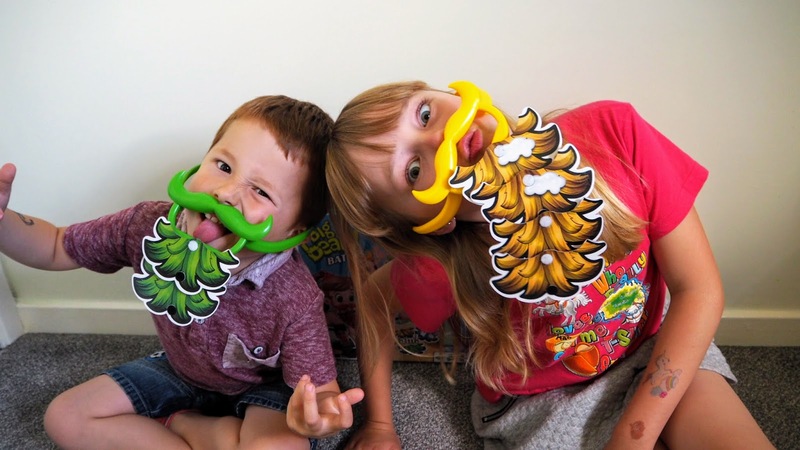 Basically, if your spin allows you to pick up a beard piece you need to hope you select one that shows, on the back, the same colour as your plastic beard. As other players flip the pieces you can try to remember where your pieces lay. As for speed, if your spin lands on the shaving foam the first player to touch a card that shows their colour and a spot of shaving foam wins that piece. So, get ready for shooting hands and make sure you have a quick eye! For strategy, there are the scissors and the razor. If you spin a scissor you can cut one piece from any players beard. If you get a razor you can shave off the whole of any players beard! This of course creates rivalry, laughter and some fun tension! The first player to have four beard pieces in place wins. Of course, the fact all players look funny sporting the beards just makes the game more fun! This is a great game. It really does suit all ages, it’s fun to play in a group or a pair and it tests various skill sets. I personally find games that involve strategy and skill are always great to help your children’s development. 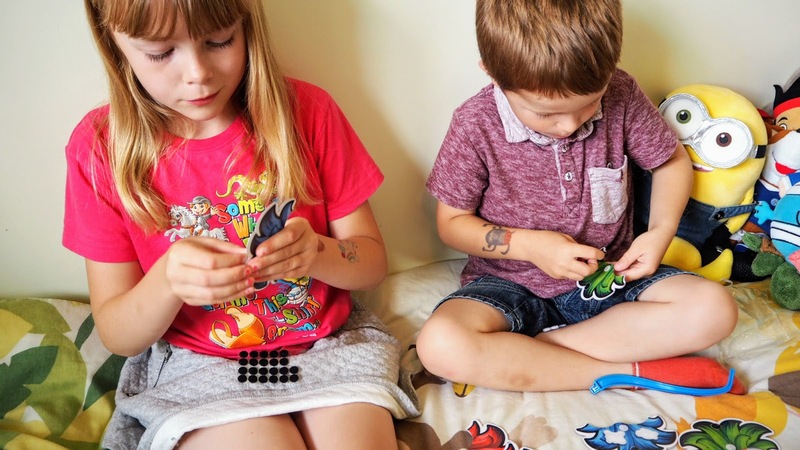 The fact this game also throws in luck which I believe teaches children patience makes this a very well-rounded game. The game is well thought out and although it may sound there is a lot involved it is easy to follow and quick to play. I challenge you to get through this game without laughing! The recommended retail price for this game is £14.99. You can buy it from Amazon here. Please note this post was not sponsored however we were sent the game to keep. If you love toy and family reviews also be sure to check out our Hatchimal CollEGGtibles review here and Bobble Art review here.